The world's oil powers remain deeply at odds. Iran's oil minister Bijan Zangeneh on Tuesday called the Saudi Arabia-led idea for countries to freeze production a "joke," according to Iranian state broadcaster Press TV. Iran's mocking of the oil freeze came at the same time as the top Saudi oil official was in the U.S. trumpeting the idea. "The freeze is the beginning of a process," Saudi oil minister Ali al-Naimi said during a highly-anticipated speech on Tuesday at the IHS CERAWeek oil conference in Houston. "Maybe not all of them, but most of the countries that count will freeze," al-Naimi said in the remarks that were live-streamed by CNBC. He added that meant Iran as well. The latest infighting within OPEC dashed hopes on Wall Street that oil countries would ease the epic supply glut crashing the oil market. 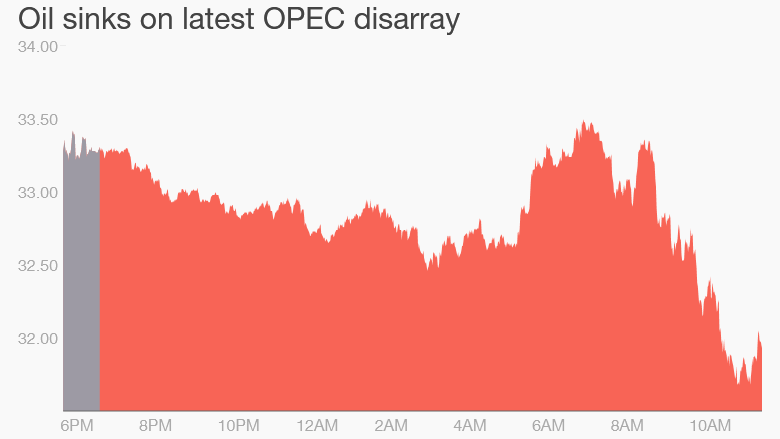 Oil plunged 5% to $31.75 a barrel following the Iranian official's comments. Iran has been on a mission to ramp up oil production now that sanctions have been lifted. But Iran's return couldn't have come at a worse time for an oil market already drowning in excess supply. Last week oil prices briefly rallied after Saudi Arabia and Russia reached a tentative deal to keep output steady if other producers did the same. Al-Naimi said on Tuesday he believes more countries are likely to agree to freeze output as early as next month. While Iran initially said it supported the output freeze, Zangeneh's comments on Tuesday suggest the country has no desire to join. "This is more like a joke that they tell us they would freeze their production above 10 million barrels per day and that we should also in turn freeze our production at one million," the Iranian official said in Tehran, according to Press TV. 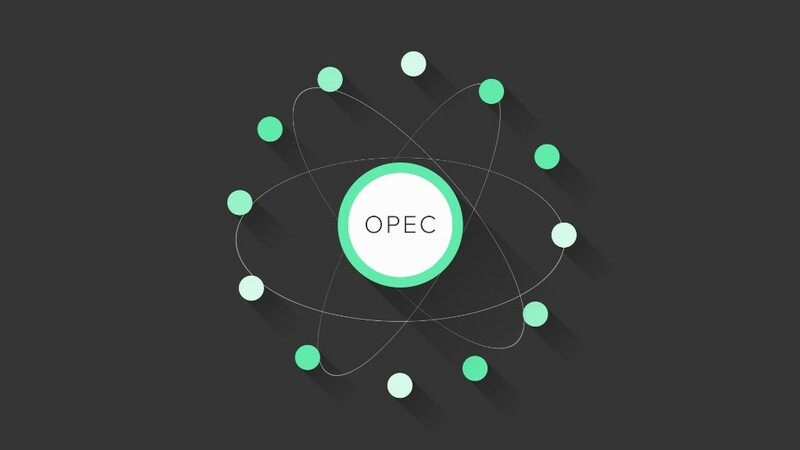 The back-and-forth between Saudi Arabia and Iran -- longtime enemies in the region -- highlight the deep divide inside OPEC that has made any agreements nearly impossible to enact. "There is no sense in wasting our time seeking production cuts," al-Naimi said. "Not many countries are going to deliver, even if they say they will cut production they are not going to deliver." Al-Naimi said there is "no trust" between oil producers and then later clarified that there is "less trust than normal." Of course, all of this is good news to American drivers filling up their tanks at the pump. The average price of a gallon of gas has dropped to $1.70, compared with $2.30 a year ago, according to AAA.